Are you looking for an innovative design-build contractor in Tulsa, OK? As a second-generation, family owned and operated company, PLS Construction, LLC specializes in commercial construction and offers general contracting services, design-build expertise, complete project management service, parking lot construction, sealcoating, and more. With projects throughout Tulsa, Broken Arrow, Muskogee, Owasso, Bixby, Sapulpa, Glenpool, and Kiefer, PLS Construction knows what local businesses need to separate themselves from the competition. Superior quality has been our biggest goal from day one, and we demonstrate this commitment by performing nearly all of our work in-house. By not using subcontractors, PLS Construction can closely control the timeline of your project and stay within your budget, allowing us to deliver a quality solution to your commercial construction project. 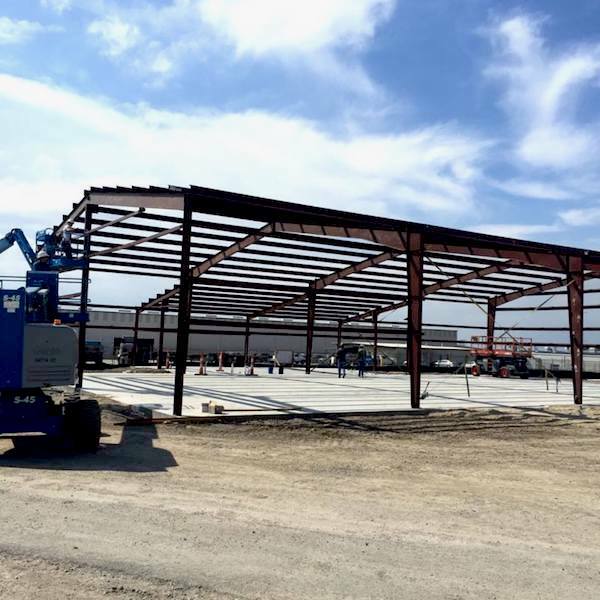 From retail buildings and warehouses to parking lots and foundations, PLS Construction delivers industry-leading quality and convenience when you choose you for your next project! If you have any questions regarding our company or if you would like to discover the difference that PLS Construction can make on your next project, contact us at 918-943-6543 or 918-519-3977 today. See what our clients have to say about us! PLS Construction is a design build contractor serving businesses throughout Tulsa, Broken Arrow, Muskogee, Owasso, Bixby, Sapulpa, Glenpool, Kiefer, and surrounding OK communities. Please use the form below to send us an Email. We can also be reached at 918-943-6543 or 918-519-3977. We look forward to talking with you.